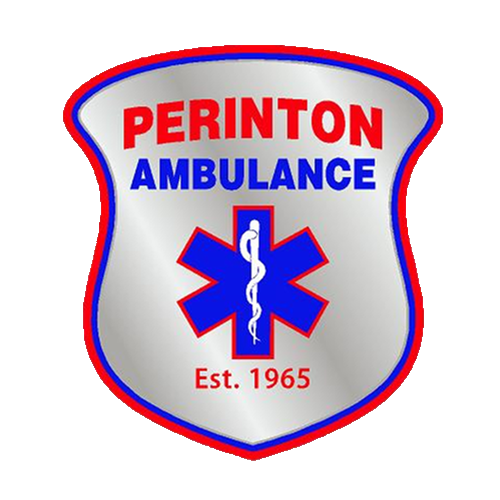 THANK YOU for showing an interest in helping others with the Perinton Volunteer Ambulance Corps (PVAC). We’ve served the community since 1965 and are always looking for people to help us continue our mission! We hope you will find this information helpful while considering joining our Corps. 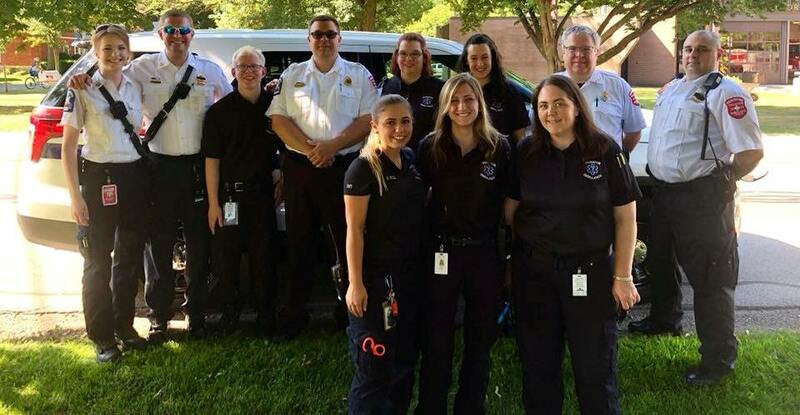 AGE REQUIREMENTS: To join PVAC as a full member, you must be at least 18 years of age to be an EMT; 16 years of age to be a Dispatcher. OUR EXPECTATIONS: Maintain minimum hour requirements, maintain certifications, and represent PVAC positively both on and off duty. Hour requirements: All full members, including those in training, must serve a minimum of 30 hours a quarter. This works out to 10 hours per month, but we encourage members to work as much as possible, especially while training, to maintain and learn new skills. Certification requirements: All Dispatchers and EMTs are required to maintain current certification in Professional Rescuer CPR, Hazardous Materials Awareness, and blood borne pathogens). There are additional one-time training courses that must be completed, including the National Incident Management System (NIMS), privacy act, and harassment prevention. Other job-specific training is detailed below. Please note: applicants are not required to have certifications to join. If accepted, training will be provided to you for your specific position. Positive representation: PVAC is known throughout the community as a professional, respectable organization. Members may be recognized off-duty and occasionally may be wearing PVAC attire in the general public. Acting in a mature, professional manner at all times is essential to maintaining the integrity of our organization’s public image. DISPATCHER JOB DESCRIPTION: Coordinate ambulance responses, communicate with the Monroe County 911 Center and crews, interact with the general public via telephone and in person, maintain records for all service requests. Additional certifications: Basic First Aid. MEDIC JOB DESCRIPTION: Provide emergency medical care to the sick and injured in accordance with Department of Health protocols and regional EMS Council Standards of Care. Properly document all care provided at completion of call. Additional requirements: computer literate, able to read, write, and speak clearly in English, and pass a Corps-specific physical agility examination. Additional certifications: New York State Emergency Medical Technician*. One-time training courses include Medical Orders for Life Sustaining Treatment (MOLST) and NYS Mandated Reporter education. There may be other requirements as outlined by local, regional, state, or federal oversight agencies. * EMT training is provided free of charge through enrollment in specific course offerings. Students who do not successfully complete the training will be charged a course fee that is not covered by PVAC. DRIVER JOB DESCRIPTION: Safely operate an ambulance to emergency scenes and appropriate hospitals as part of the patient care team. Assist medic and other members of the EMS response team in treating the patient. Please note: All drivers must be previously qualified as Medics with PVAC and maintain qualification to remain driving. Additional requirements: Must be at least 21 years of age with at least five (5) years driving experience, meet PVAC insurer requirements, possess a clean Department of Motor Vehicles record for the past three (3) years. Additional certifications: National Incident Management System (NIMS) 200; Coaching the Emergency Vehicle Operator (or equivalent) must be maintained as outlined by PVAC. APPLICATION: Please print the application and use blue or black ink only, completing the application in full. Any incomplete application (with exception of optional information sections) will result in rejection. If applicable (not required), please attach copies of any relevant EMS or medical certifications, including but not limited to CFR / EMT / AEMT card, CPR, ITLS, PHTLS, NIMS, CEVO, etc. Completed application packets may be presented in person by visiting our base. We’re located just north of the intersection of Turk Hill and Ayrault Roads, next to the Town of Perinton office complex. You may also send applications via US Mail to: Membership Committee, c/o Perinton Volunteer Ambulance Corps, 1400 Turk Hill Road, Fairport, NY 14450. Once your entire application packet and $1.00 application fee (and first year’s dues, if membership granted) have been received, a representative of the Membership Committee will contact you to verify that we have received your application. Although applications are accepted throughout the year, interviews are only held periodically. This is to help maintain a manageable level of trainees and align with available training courses, so we appreciate your patience. You will be contacted by a Membership Committee representative when interviews are being scheduled. Please note: Acceptance or rejection of an applicant is at the sole discretion of the Membership Committee. The Committee’s decision is final. Any officer of membership will be conditional upon a minimum six (6) month probationary period. During this period, membership may be terminated at any time with or without cause. We hope that we have answered many of your questions. If not, please email membership@pvac.org or call (585) 223-4150, select option 0, and leave a message for the Membership Chairperson.